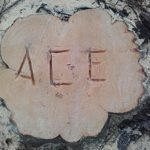 Ace Tree Services cover all of Leicester, our tree surgeons are trusted for our excellent service, affordable prices and top quality tree work. Contact your local tree surgeons today! Ace Tree Services undertake all manner of tree work whether it is just simple hedgetrimming or a large tree removal, We can handle it!Ace Tree Services cover a 15 Mile radius as the crow flies from Kibworth, Market Harborough, Leicestershire.